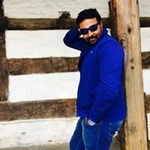 Welcome to Vishnu’s profile on peopleperhour.com! Are you in search of Data Entry? Yes, you are on the right place and am here to give you the service. 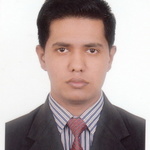 I am a professional and expert in Data Entry, Data Capturing from the websites, PDF conversions and Internet Research. I will do that for you and will deliver it to you as soon as possible and you receive your material quickly and accurately. 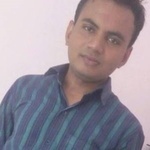 I have more experience in Data Entry and will try my best to give you 100% quality work. 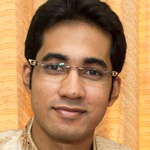 I am looking for long term Business relationship. I will deliver you the documents within 48 hours and please contact me or discuss before purchasing hourly on PPH. Meanwhile you can focus on other things and I will complete your tasks. Please check out my expertise below and the extras I'm offering. The transcription will be sent as per your requirement within 24-48 hours of your order placement. So, kindly trust and give me order to complete your project with in short time with Quality. Please let me know if you wish to continue using my services. If you have any questions related to work then kindly feel free to contact me. Please note: The number of hours and timeline could vary depending on the type and quantity of work. Please contact me with the job details, and I will be happy to clarify. I need sample of document before purchasing hourly. Please supply a small example of what is needed. 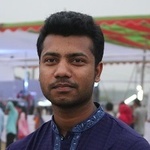 Hi there, I am a hard and smart worker, honest and responsible person. 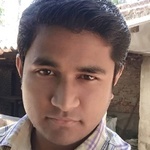 I will be doing DATA ENTRY, Copy Paste, Typing, Data Capturing from the websites, web research, Pdf to Excel/Word,...Read moreHi there, I am a hard and smart worker, honest and responsible person. 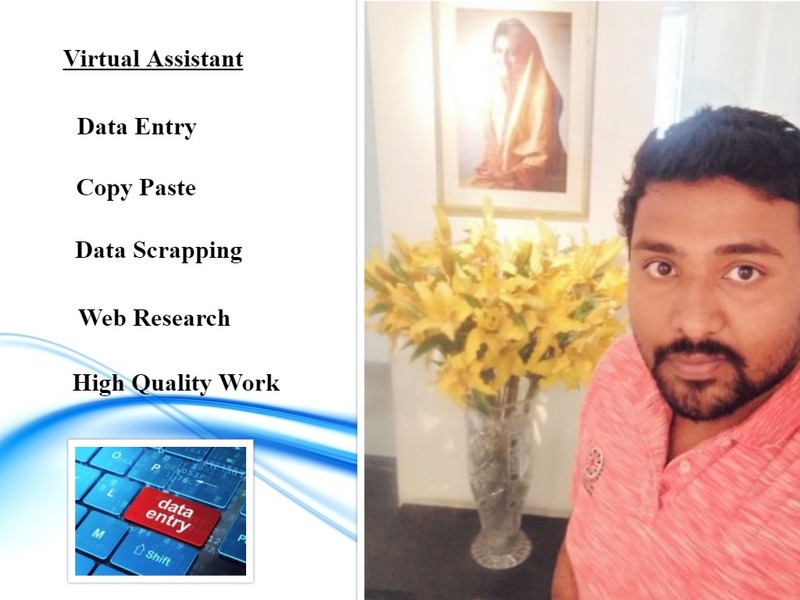 I will be doing DATA ENTRY, Copy Paste, Typing, Data Capturing from the websites, web research, Pdf to Excel/Word, Excel/Word to Pdf, JPEG to Excel/Word and Virtual Assistant. I am an expert in data entry with more knowledge in MS office and I posses extreme skills and knowledge in Ms word and Ms excel. I value my time and I know you do the same way. So let's just do business now! Support is available 24/7. I will look forward to hear from you soon.